Words by Kevin Doocey on September 14, 2014 . I have often felt some sort of empathy towards Newcastle United managers in the past who have been shown the door at St. James’ Park. In fact, in years gone-by, ‘revolving door’ became a common buzzword on Tyneside when talking about managers. Realistically, Sir Bobby Robson should never have been sacked in 2004 after the club drifted just outside the Champions League places. From then on, things just got worse. His replacement Graeme Souness couldn’t hack it in the North-East, although certain personalities in the dressing-room made it even more difficult for the Scot to succeed. Then came along Glenn Roeder who did a decent job overall, but inevitably he didn’t have the quality to bring the club to the next level. Then came Sam Allardyce, and then Mike Ashley appeared. He fired Sam, recruited Keegan before forcing his resignation, appointing Alan Shearer, the he was eventually replaced by the gentlemanly Chris Hughton. Of course as you might have guessed, Hughton was sacked despite leading NUFC back to the Premier League in historic fashion. It was a move from Mike Ashley which I felt was mistimed, and showed little loyalty to a man who had saved his asset from financial ruin. Now, it is that loyalty which is killing this football club. 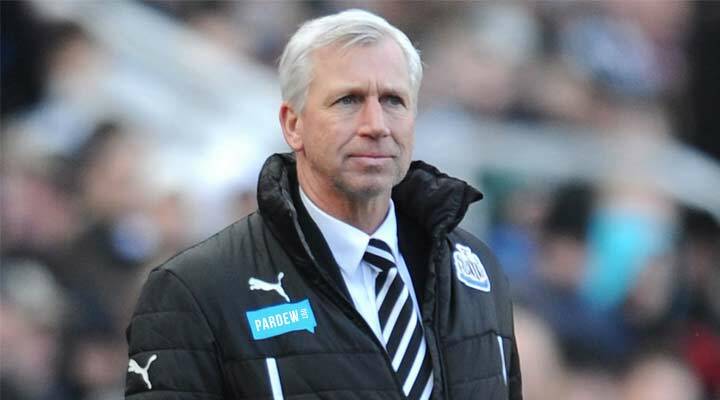 Hughton’s replacement, Alan Pardew has lost the support of the majority of Newcastle United fans, and at the time of writing, NUFC sit bottom of the Premier League table, failing to win one game so far this campaign, and their latest result, a 0-4 thrashing at the hands of Southampton. We are half way through the month of September, and it appears that Mike Ashley is considering his options. Bottom line, he wants to protect his investment any way possible. If he feels that the club could genuinely suffer relegation under the current stewardship, then I am quite sure he will pull the trigger on Mr. Pardew. It should have been done long ago, mind. I may be alone, but I think that he is pulling a punch at the fans with that remark, perhaps suggesting that he thinks we are expecting too much. The least we can expect is a fight and desire every game, and I haven’t seen that in a long, long time. From watching us this season, I believe the players have lost faith in Pardew and that he facing an impossible job to motivate his starting eleven to record a much-needed win. His time is up at SJP, and he knows it too. Up to you Mike, do what’s right for the club. When has Mike Ashley ever done anything right for Newcastle Utd, I wouldn't hold your breath. Had felt a bit of sympathy for Pardew till yesterday ---- its obvious he has lost the dressing room, also lost the fans some time ago by constantly defending poor decisions by the Ashley regime. Time to go but its a big concern as to who Ashley will replace him with - Wise, Kinnear bloody hell. I hope for once they actually put some thought into the appointment. Does anyone really want Bruce as manager - can remember not so long ago what he used to get called and now so called fans want him ? Show some ambition Frand de Boer and his staff get rid of our coaches - only ones that appear to be any good is A.Woodman and P.Beardsley. Can only hope and back the team on the field ! I'm in a similar boat, but I lost all support for AP a few months back and now I just want him gone. I would pray that it won't be Joe Kinnear (if Pardew is shown the door), and I somehow doubt it will considering his failures in the position of DoF. I actually would take Bruce no problem, but de Boer would be the dream. Unlikely club will want to pay compensation for a new manager if it comes to it, mind. For that reason - David Moyes or Tony Pulis would be leading contenders. Noody knows what Ashley is planning so all the reports are hype generated by reporters in the dark. Touting different managers in the media is pointless because Ashley always does things left field. Did anyone predict Pardew getting the job. I am sure there are plenty who could do the job better but I don't trust Ashley to do the right thing and regardless we are still missing a goal scorer and centre half. Didn't catch it, but heard he was actually defending Pardew? Either way, if he comes anywhere Newcastle again I think that's me done! Agreed - Ashley is utterly unpredictable at the best of times, but I do believe Alan Pardew was actually the bookies favourites throughout the period after we sacked Hughton, could be wrong about that. But yeah, we do lack a goal-scoring threat, and a solid centre-back. However, I do think a better manager would set the team up a tad better, and in time, help Cissé come back stronger. The problem we have is that the press always say we want fight and grit. When what we really want is a technique based manager who values flair, creativity and and a cavalier approach to attacking football. The ironic thing is that Ashley's vision will only work if a manager of that ilk arrives. For us to become successful and work within our means it means we have to utilise players in a way which will improve our players abilities. That means playing them to their strengths. Some managers, although good managers, will focus on a defensive system. They believe that the system will bail out players weaknesses and a point or win is still obtainable. What actually happens though is that the players don't do themselves justice and very few will improve. Cabella is the perfect example of this. Any French guy would tell you that defensively Cabella is at his weakest. Yet which player has made the most tackles for the toon? A technique based manager though, constantly changes his system to suit his players. Those players get better and better because they are played to their strengths. Training is designed to improve them and get the best out of them. Arsenal are great at this and Keegan was too. A good way to compare the systems is to look at Ginola and Ben Arfa. Ben Arfa ended up on a free transfer and yet Ginola was sold. To bring the best out of players you also need a manager who has had success. Once your good players have turned into great ones you don't want them to leave. This is only achievable if they believe a manager can bring them success. Employing a manager who has won titles and cups is the perfect remedy for this. I think Ashley is mad enough to bring Kinnear out of mothballs again! You could then see a scenario unfold in front of the Sky cameras where a Jock Stein like episode would happen with Kinnear ending up having a heart attack in front of everyone! That's how much of a mad man Ashley is and i wouldn't put it past him! That really would litterally bring the house down and would result in a riot such as has never been seen before at Newcastle. Surely, even Cashley isn't that stupid. Well he has certainly been successful though fans have complained about his footy.